In this new release Peter Oundjian and the Royal Scottish National Orchestra tackle two seminal works by the American composer John Adams. Harmonielehre, a symphony in all but name, is an expansive, richly expressive, and often breathtaking work. It takes its title from a 1911 text by Arnold Schoenberg on harmonic theory and evokes the lush soundworld of that composer’s early tonal period. Also heard throughout the score are echoes of Mahler, Wagner, Strauss, Sibelius, Debussy, Ravel, and Stravinsky. The piece also takes inspiration from some of Adams’s own strange and surreal dreams. The Doctor Atomic Symphony, based on Adams’s controversial opera Doctor Atomic, focuses on the character of the physicist J. Robert Oppenheimer as preparations are made for the first test of the atomic bomb. Although played without a break, the symphony falls into three distinct sections: ‘The Laboratory’, ‘Panic’, and ‘Trinity’. The symphony’s concluding section takes its title from the name given to the bomb test site by Oppenheimer himself, with reference to a deeply spiritual John Donne sonnet. This poem is set to music at the end of Act I of the opera and here in the symphony the aria’s intense vocal line is performed by solo trumpet. Also featured on the album is John Adams’s energetic fanfare Short Ride in a Fast Machine. 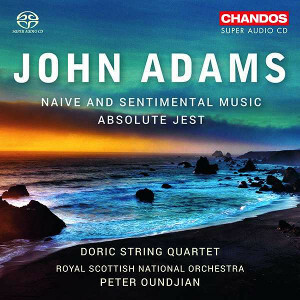 Admirers of the music of John Adams will be delighted with this collection of three of his works featured on this superbly recorded Chandos SACD that includes &apos;Harmonielehre&apos; an undoubted masterpiece dating from 1985. This work, named after Schoenberg&apos;s celebrated treatise on Harmony published in 1911, brilliantly fuses Adams&apos; signature minimalism with late-romantic extravagance to thrilling effect over its 40+ minute span. On this disc it is preceded by &apos;Short Ride in a Fast Machine&apos; – a brief show-piece for orchestra – that, according to the composer, represents the sensation of travelling in a high performance sports car and regretting the decision to have got in it. The Royal Scottish National Orchestra and their new musical director, Peter Oundjian, give finely nuanced and propulsive readings of both of these works on this SACD and the Chandos 5.0 multi-channel recording (24 bit/96 kHz) does not disappoint. However, both these works are already available in an almost definitive live performances by the San Francisco Symphony conducted by Michael Tilson Thomas Adams: Harmonielehre, Short Ride in a Fast Machine - Michael Tilson Thomas. 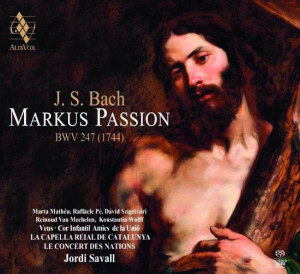 Direct comparison between the two recordings does marginally favour the latter. 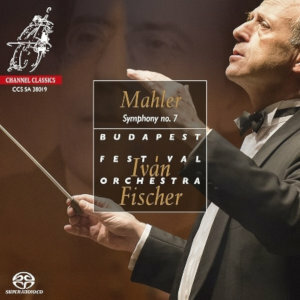 The SFS players have this music in their blood and, fine though the Chandos recording is, the SFS media disc is even better – by virtue of an increased depth of sound and even greater clarity. Nevertheless, the Chandos trump card for many listeners could well be the inclusion on this disc of Adams&apos;s &apos;Dr. Atomic Symphony&apos; making its first appearance on SACD. This piece uses music re-worked from his 2005 opera &apos;Doctor Atomic&apos; that deals with the moral dilemma facing J. Robert Oppenheimer, the physicist who oversaw the building of the first atomic bomb. Adams has distilled some of the best music from the opera into a 24-minute single movement symphony, that falls into three clearly defined sections. The first is entitled &apos;The Laboratory,&apos; which Adams says was inspired by the music of Edgar Varèse. 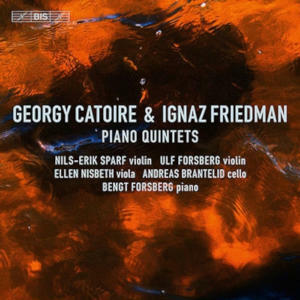 It begins with dissonant brass chords and pounding timpani strokes that gradually give way to quieter music suggesting the uneasy atmosphere of Oppenheimer’s Los Alamos laboratory. &apos;Panic&apos;, the work&apos;s longest section, starts with a furious moto-perpetuo on the strings – here articulated with confidence by the RSNO players– leading to virtuoso brass writing that includes vividly reproduced rasping trombone passages. The final section is called &apos;Trinity&apos; – the code name of the Alamogordo test site usually attributed to Oppenheimer. This title also refers to the poem “Batter my heart, three-person’d God.” by the metaphysical poet John Donne. With chilling prescience the sonnet contains the words “ Your force to break, blow, burn, and make me new.” In the opera this poem is set as a baritone aria but here it appears as a haunting trumpet solo most sensitively played by Huw Morgan the orchestra&apos;s guest principal trumpet. &apos;Doctor Atomic Symphony&apos; received its first performance in 2007 given by the BBC Symphony Orchestra conducted by the composer and the work demonstrates how far the composer&apos;s musical style has altered and developed over the past thirty years. This generous (70&apos;15”) Adams survey can be wholeheartedly recommended.